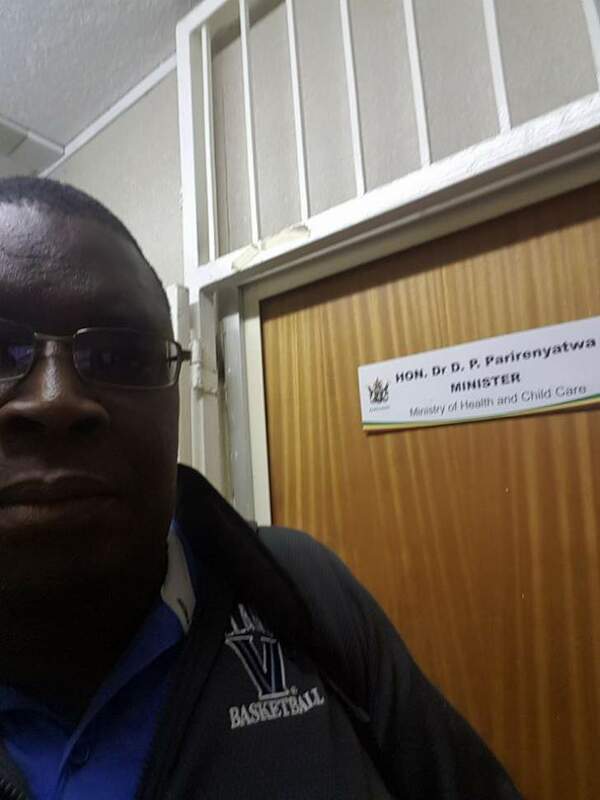 Prominent Gwanda bases activist Bekezela Maduma Fuzwayo on Friday delivered a letter to Health minister Dr David Parirenyatwa in Harare at his offices demanding that he resigns from the post. 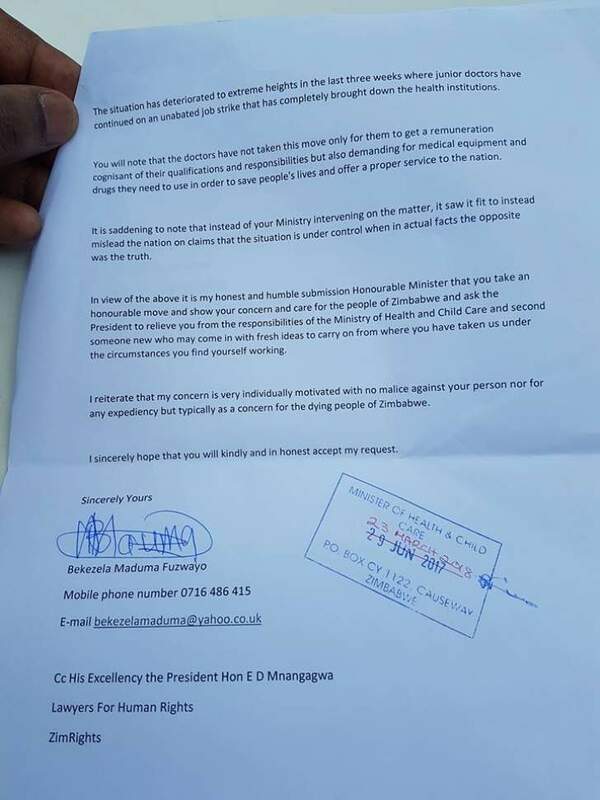 Fuzwayo shared on Facebook pictures of himself delivering the letter. 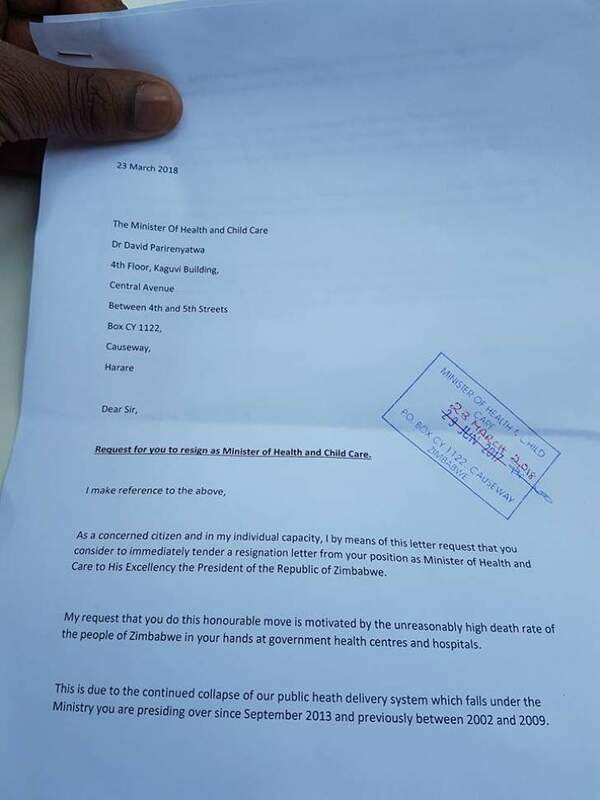 He also said: "I have just delivered a letter to Minister David Parirenyatwa at his offices demanding that he resigns from his Ministry position due to the failed public health delivery system in the country. 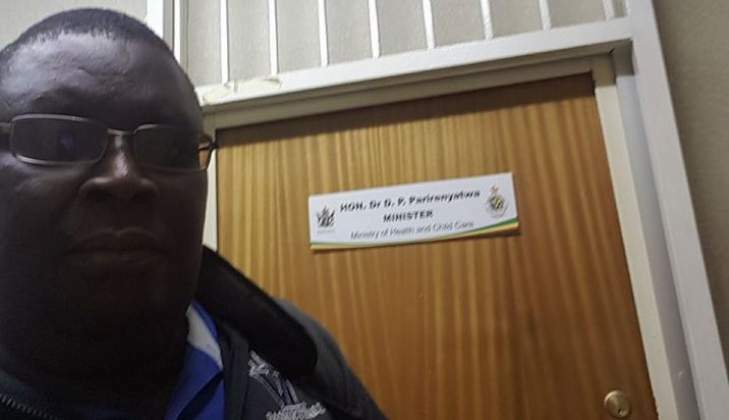 "If you want to see how this Ministry operates just check the date on the date stamp by the Minister's PA on the letter. 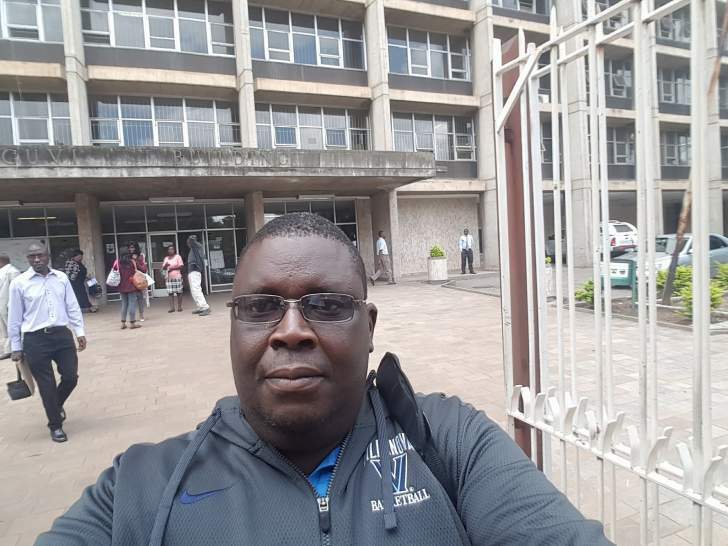 "I had to go back and demand her to put the correct date on the stamp to which she told me she did it deliberately. Is this how we are treating our people's lives honestly?"